CU Maurice River provides many opportunities for you to discover practical ways to enhance your stewardship of local natural resources at home and/or in the field. At presentations, workshops, and outings, we educate beginners as well as seasoned stewards, equipping them with insight into contemporary environmental issues along with fresh ideas on how to reduce their footprint. We also offer stewards a range of hands-on stewardship projects. 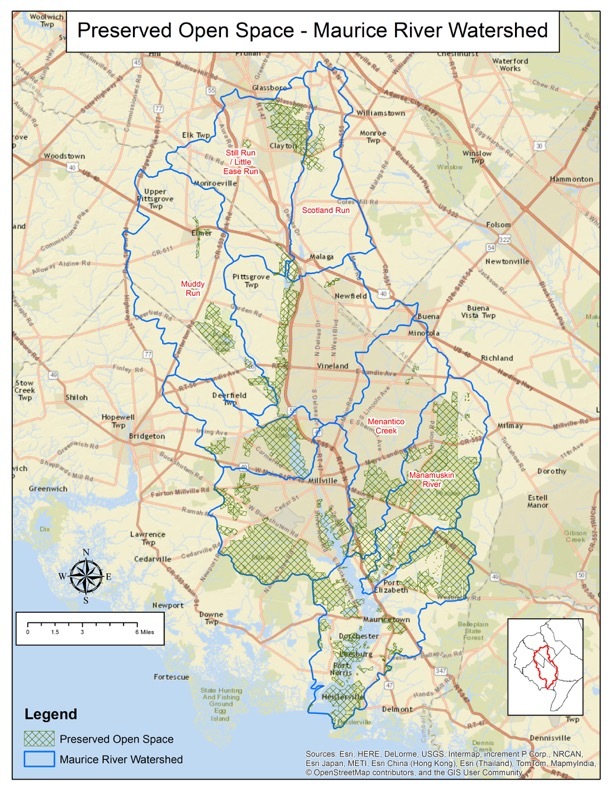 Whether you prefer a one-time outdoor activity or an undertaking requiring a more profound commitment, we will help you find your niche within this collective effort to protect and promote the health and biodiversity of the Maurice River Watershed. 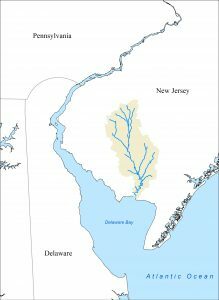 The condition of streams and rivers is a reflection of the diverse land uses within our watershed. Land management decisions made on residential properties ultimately impact the health of the entire river basin and community. This booklet is designed to help you, as an individual, make decisions that promote better water quality, greater water regeneration, and a healthier habitat. It offers information on green alternatives for your property, while also providing contact information for local and regional organizations that can support your efforts. 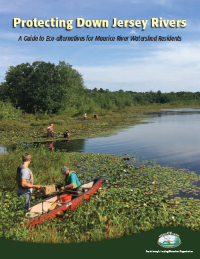 Are You a Maurice River Watershed Resident? CU Maurice River’s Stewardship Program offers active Maurice River Watershed stewards recognition for the best management practices they implement at home, at their office, or on their large tract of land. All approved landowners are awarded a plaque acknowledging the concerted effort they are making for the good of our local environmental and community health. 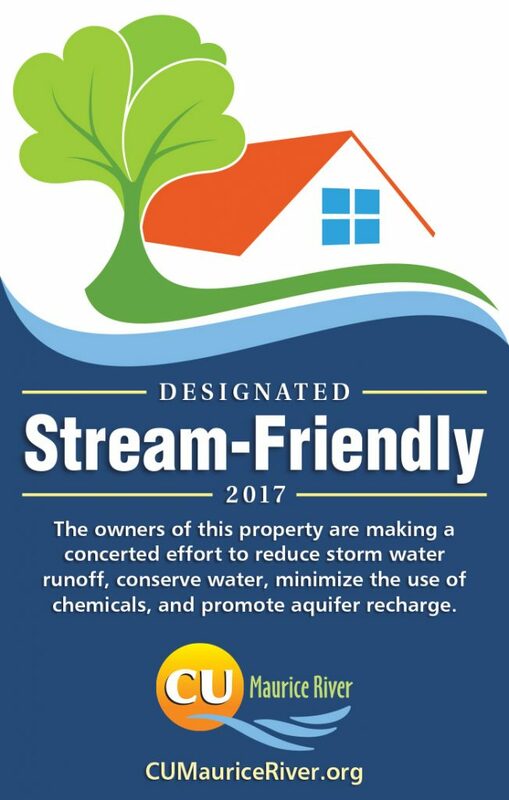 The STREAM FRIENDLY for residential properties will be awarded to those who manage stormwater, reduce water contamination coming off their property, and conserve water in – and outdoors. 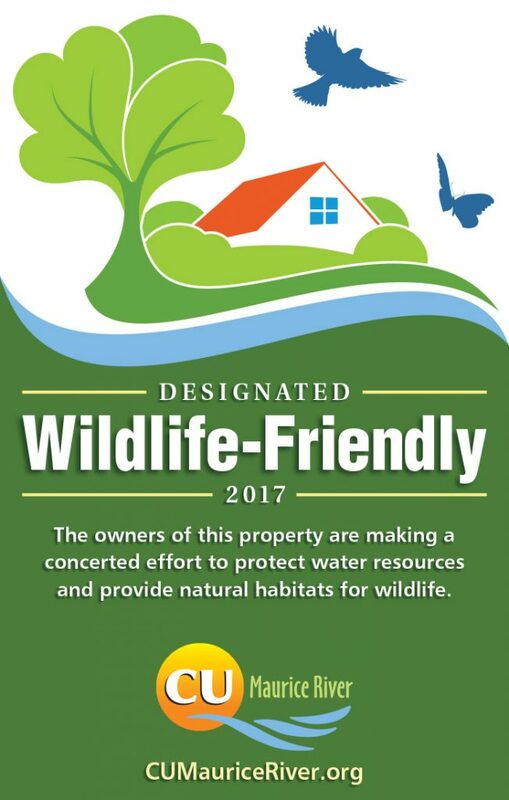 The WILD LIFE FRIENDLY for residential properties will be awarded to those who meet Stream Friendly Certification guidelines but who also make a profound effort to manage stormwater, conserve water and energy, and promote biodiversity. 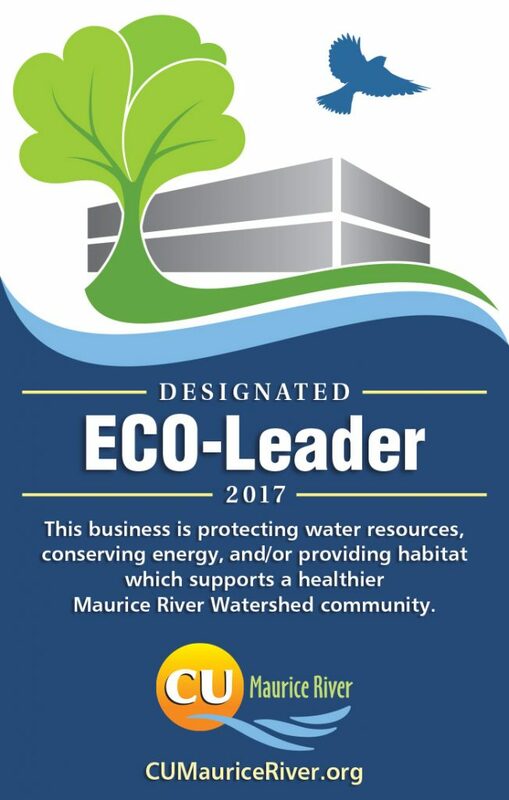 The ECO-FRIENDLY LEADER for businesses and large tract owners will be awarded to those who conserve energy, manage stormwater effectively, create habitat, increase employee awareness, and change water consumption habits both inside and outside. You can sign up for our email announcements to receive notifications about current stewardship presentations and activities.